Selection boxes and tins of Quality Street are not on the shopping lists of the locals in Lanzarote. Instead you will find the supermarkets full of nougat and turron. Turron is the the most traditional Spanish sweet of Arabic origin. It was invented over 500 years ago in a town called Jijona, a small town north of Alicante. There are two traditional, basic types of turrón: soft Jijona or turrón blando, which is so smooth it has the consistency of peanut butter, and hard Alicante or turrón duro, which is like a thick almond nougat candy, similar to the texture of peanut brittle. Heres how to make it. Allow the turron to dry for 3 days. The market in Teguise was disrupted yesterday to make way for the 8th Gastronomic fair which celebrates the best cuisine of Lanzarote and the other Canary islands. Having grown over the years the fair now takes over much of the space used by the market traders for this 2 day event. Close to 100 exhibitors participated provided an insight to local business in this sector along with demonstrations and food and wine tasting provided in restaurants, wineries, dairies , hotels, craft breweries and sweet cooking establishments. Dragon Fruit or “Pitaya” as it is locally called is an usual fruit that many of you may not be familiar with. It originally comes from Central America and is a member of the cactus family. It is oval shaped with spines on the outside. It is very aromatic with a sweet flavour and has excellent nutritional value. The Dragon Fruit has anti-tumor, anti inflammatory and antioxidant properties. It is rich in Vitamin C and also contains Vitamin B’s and minerals such as Calcium, iron and phosphorus. The seeds are edible and they contain beneficial fatty acids. So, next time you see this usual fruit in one of Lanzarote’s supermarkets, don’t forget to give it a try! Did you know that there is a sweet syrup that is produced from different types of palm trees? The Canary Islands and the coastal areas of South America are ideal locations for its production. The syrup is is mostly produced on the island of La Gomera in an area called Vallermoso. The method used for collecting the sap and creating the syrup is very simular to the methods used for making Maple Syrup. Harvested overnight the farmer climbs a ladder and uses a knife to remove the surface crust and open the pores on the trees and leaves a bucket to return next morning to collect. Each tree can supply up to 10 litres or more. When the trees have been havested regularly between January to June, they need 5 years before they can be harvested again. KMO is a center that promotes a slow food experience. It began in the 1980’s in response to the fast food restaurant McDonalds opening in Rome, Italy. The movement is dedicated to avoiding processed foods and thrives from using local products within a radius of 100 miles. The organisation has a base in Barcelona which is a meeting point for the many food and wine tours and gastronomic experiences. The 6th Cheese and Goat Fair of Lanzarote will be held on March 24th and 25th in Playa Blanca, co-organized by the local council of Lanzarote, and the Association of Artisan Cheese Queserias of Lanzarote and the Regulatory Board of the Denomination of Origin Vinos de Lanzarote. There will be a total of 33 exhibitors including restaurants, wineries and dairies. The event will be located in the center of Playa Blanca on Papagayo Avenue and Bienvenida Martín Street at 6:00 on the 24th and the on the 25th it will be open from 11.00 to 16.00. 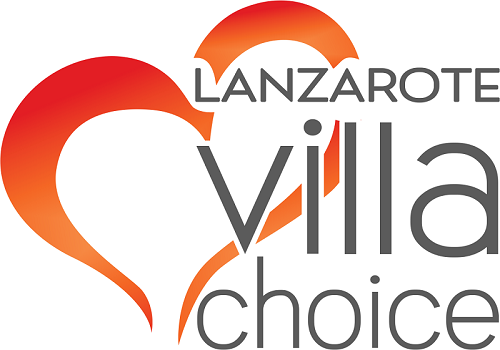 There will be a raffle of three baskets full of products from Lanzarote for those who have filled out a participation form, which can be obtained at the stands of the organization, and a popular cooking contest will also be held. Most people in the UK have declared battle against the Beast From The East! If you want to keep warm, why not try making a typical healthy Canarian dish to keep away the winter blues. Lentils are a great source of dietry fiber and contain copper, phosphorus and maganese. They are also good for iron, protein, vitiman B1, pantothenic acid, zinc, potassium and vitaminB6. A good way to to make sure you dont catch any colds which will be flying around during the cold spell in the UK. It might just make you feel as though you are here in Lanzarote. *Note: nowadays many lentils are sold as quick cooking and don’t need soaking. 1. Soak lentils the night before in water to cover. *Note: some lentils are sold as quick cooking and don’t need soaking. 2. Next day drain and rinse lentils, put aside. 3. Heat olive oil in heavy cooking pot. When sizzling, add carrots, garlic and leeks. Lightly brown while stirring. 4. Add 1 TBSP flour and keep stirring for about a minute. 6. Put on lid and simmer very gently for 1 1/2 – 2 hours. Check after 1st hour and add more water if needed. 7. Adjust seasoning and serve. Fast food has mostly been associated with burgers and chips but with the recent trend of Sushi and asian food a new fast food restaurant has been opened in the Biosfera shopping complex in Puerto del Carmen dedicated to Noodles!